THE WAVE: Wollersheim + RMX & Moore @ 1st saturday of 2009 @ The Wave FM ! Wollersheim + RMX & Moore @ 1st saturday of 2009 @ The Wave FM ! Para el primer weekend del 2009 iniciando la frescura del nuevo año tenemos como invitados especiales a Wollersheim desde Alemania con un mix de sus tracks 100% originales, el cual nos sorprenderá con un viaje totalmente futurista y ecléctico exclusivo para The Wave FM. The Wave Saturday Night Special LIVE on 95.9 mhz ! was born into the scene back in 1982 after being exposed to GCI and BMX out of Chicago. Recording the Staurday Night Ain't No Jive Dance Party every week adding new sets to his mix collection. Not much hitting the clubs at age 11. He started buying Farley and Sills records from the local Rose Records along with other mainstream rock albums. A few tapes but mostly vinyl. In 1988 he was exposed to bands as Front 242 and Skinny Puppy which directed his interest into more of a rougher style. It wasn't until 1992 when Hyperactive and Bad Boy Bill increased speeds too 136bpm and had finally melded the sounds of industrial and electronic sounds. RMX fell in love with what is now known as techno. 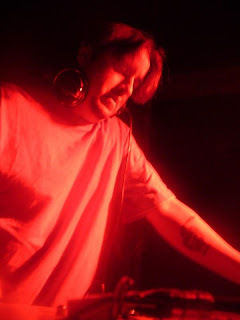 In 1996 RMX dabbled with turntables and one crate of booty house. He finally broke out in 1998 and bought a DJM-500 with a set of CDJ-100s. He imported what he could on CD from mail order and internet sites. This led to his first gig at Even Futhur in 1999. Shortly after that gig, he met Mindbender. With direction that led him to sell his rig for a set of USED Techs, busted needles, and a handfull of techno records. Thru 2000 and 2001 RMX performed at countless events. It was not until Pshycosis 7 that RMX thought a break would be a positive move. In 2003 and friend gave RMX a Juinor lable house record. It was at this point that the love to spin would return. Once again spinning house music, he came in contact with Mindbender. Giving up a crate of house for techno as an even trade would send him on a journey deeper into the techno sound. Between 2005 and 2007 RMX has performed at over 200 events. Bouncing between the driving techno, to extreme compression, to the smooth sounds of electro. RMX has more to say in the years to come. Wollersheim is a dj and producer drifting through the music scene quite a while. 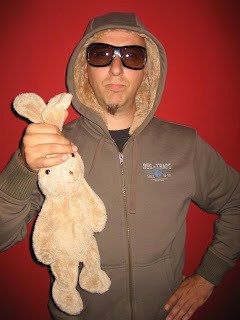 He started with an electro band called "Das Tribunal" and his journey went on playing as bandmusician (bass-guitar - due to his passion for the looooow freq), e.g. with bands like Goethes Erben and others. Now the focus is on electronic music, again. So the circle closes somehow and Wollersheim is back home. The first releases are "Maximized" (maxi-single) and "Carnivoranza" (album).